This 33mm. ZODIAC TRIPLE DATE MOON PHASE vintage 1950’s watch is housed in a steel case and features interesting turtle style lugs. The black dial was expertly restored while retaining the original steel markers and matching steel leaf style hands and 12, 3, 6, 9 Arabic numerals-pristine. That is a reflection on the second hand-it is shining steel in person. 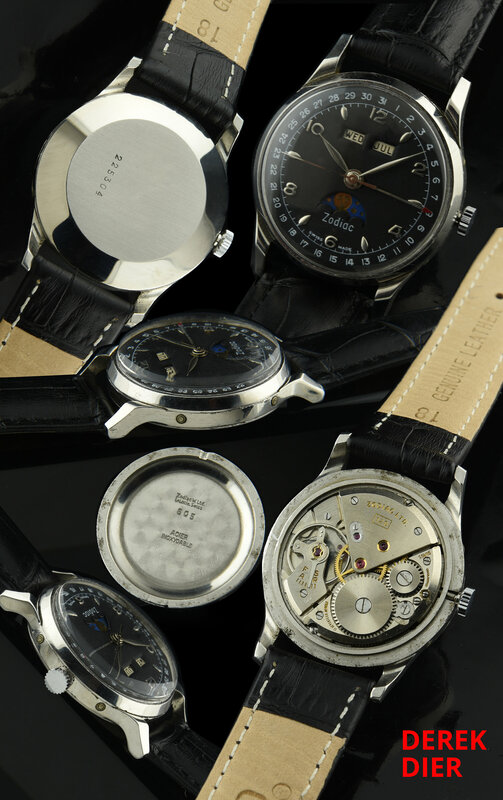 The manual winding ZODIAC movement was just meticulously cleaned and all functions are operating smoothly. Please remember NEVER to set the day, date or month between 11-3 pm. The blue and gold moon phase appears in the aperture opening and has its original paint and design. This watch features day, date, month, hours, minutes, seconds and moon phase. 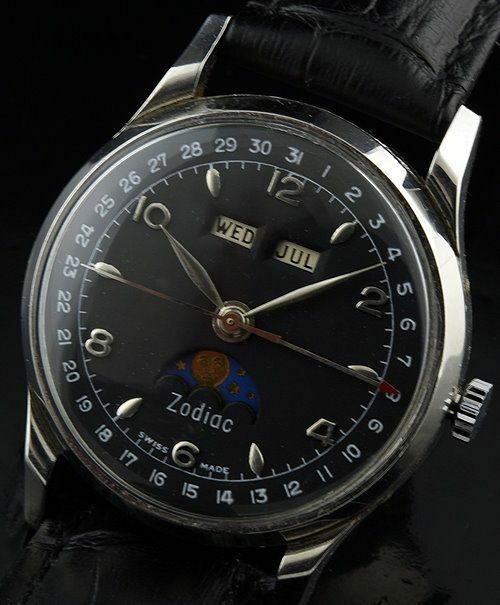 You will love this vintage 50’s ZODIAC complication!